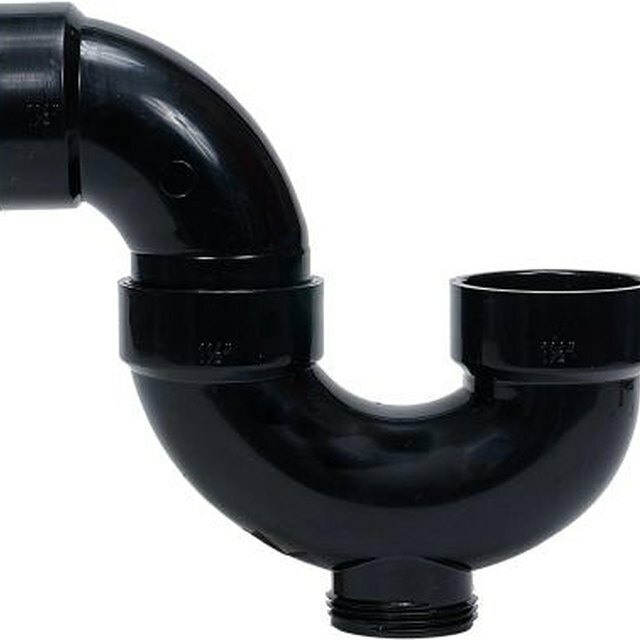 PVC pipe was first developed in the 1950s, and its durability, ease of use and resistance to bacteria quickly made its use in plumbing systems very popular. PVC pipe is commonly available in many sizes (diameters) and strengths (schedules), and it is still widely used in residential and commercial cold-water pipes. Because PVC pipe can warp and weaken when exposed to temperatures above 140 degrees Fahrenheit, it is not used for hot-water systems, which tend to consist of copper or galvanized steel. PVC pipe's sensitivity to heat is a big reason why it is not recommended for use in dryer vents. The exhaust from a clothes dryer can reach temperatures ranging from 120 degrees to 200 degrees Fahrenheit, which could cause the pipe to soften and fail. PVC pipe is also prone to static electricity buildup, which can attract lint and cause it to accumulate inside the pipe. This not only reduces the efficiency of your dryer (which could lead to overheating), but it can also increase the risk of fire and exacerbate condensation issues. The nonprofit International Code Council (ICC) develops building codes and guidelines for residential and commercial construction. Most cities, counties and states in the United States tend to adopt the ICC codes or to model their requirements closely on ICC recommendations. The ICC code for dryer exhaust ducts specifies the use of smooth, rigid metal ducting. According to Underwriters Laboratories (UL), an organization dedicated to product safety certification for more than a century, plastic and vinyl should never be used to vent a clothes dryer. Instead, UL recommends rigid or flexible aluminum for the dryer exhaust hose and ducts. PVC pipe is increasingly losing favor even as a cold-water conduit due to a variety of health and environmental concerns. Joe Thornton, PhD, of Columbia University describes many of the dangers of PVC production, use and disposal in a technical briefing prepared for HealthyBuildingnet. Even if your local building codes do not prohibit the use of PVC pipe for a dryer vent, you can avoid many potential problems by choosing other materials. Rigid and flexible aluminum ducts are relatively inexpensive and easy to configure and install, and they can give you more reliable performance and enduring peace of mind.